Just Policy Blog Guest Post as part of Pretrial Justice Institute and Justice Policy Institute Bail Month 2013. This post was originally posted Monday, September 23, 2013 by the Pretrial Justice Institute. Every prosecutor’s office in the country shares common challenges, regardless of size and population demographics. Prosecutors also share a set of core values grounded in protecting the public, holding offenders accountable and maintaining the integrity of the criminal justice system. I fundamentally believe that what prosecutors do on a daily basis makes communities better, but it is very easy to become consumed and defined by what happens inside the courthouse walls. How we do the work of prosecutors does matter, and a growing body of research shows that the decisions we make concerning how we hold offenders accountable can play a significant role in stabilizing individuals, families and communities by changing the behavior that leads to repeated criminal acts. In deciding what to do with any individual contacting the justice system, prosecutors naturally try to obtain as much information and evidence as possible concerning the alleged crime, the prior criminal history of the defendant and the harm done to the victim or community. Historically, we have not been objectively well informed about the risk that the person poses to commit new offenses. Sure, we use our professional judgment and institutional experience to approximate risk, but only recently have we started examining whether our assumptions are supported by the outcome we desire: is an offender changed by the encounter? Does he or she stop committing crimes? 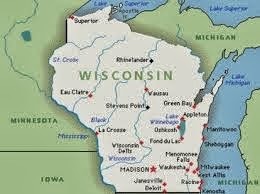 In this context, two Wisconsin counties, Milwaukee and Eau Claire, have committed to developing a framework that places risk assessment at the forefront of our decision making process. Working with experts in pretrial justice services, we developed validated risk assessment tools that we apply to everyone coming into our jail. The objective is to have actuarial information that helps better inform decisions on what we do or do not charge, what kind of bail conditions are set and what kind of intervention resources we apply early on in the continuum from arrest to sentencing. Some tools are used to assess short-term risk, addressing whether a defendant will show up for court and obey conditions of release. Other tools tell us how likely the person is to commit new offenses. Kudos to PJI for bringing national attention to much needed reform at the front-end of states' justice systems. 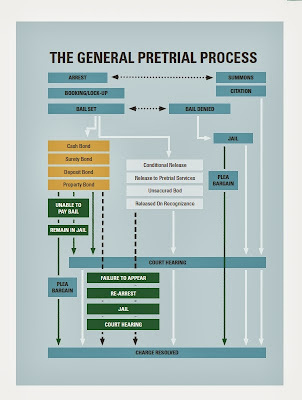 Veterans of pretrial justice know that a defendant’s access to bail money typically determines which people accused of crime will regain liberty before trial and who will stay in jail for days, weeks and months at public expense until final disposition. PJI’s emphasis on an evidence-based, risk assessment and recommendation provides another way. It allows judicial officers to make better informed decisions that often will lead to appropriate supervision rather than unnecessary jail for people charged with non-violent crimes and others who do not pose a significant safety or flight risk. Consistent with current law, Pretrial supervision provides a non-financial alternative to incarceration for people who lack the necessary bail money and who can be trusted to return to court. Yet states’ pretrial justice reform must take one more critical step to enhance the administration of fair and equal justice for low-income and poor defendants and maximize cost savings in unnecessary incarceration. They must include the surprising missing player -- the public defender and assigned defense lawyer -- and guarantee counsel’s representation at a defendant’s initial appearance. A defense lawyer’s early representation provides the necessary additional information and advocacy to ensure that judicial officers rule correctly. 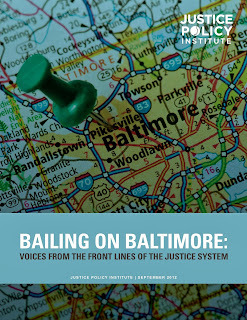 Just Policy Blog Guest Post as as part of Pretrial Justice Institute and Justice Policy Institute Bail Month 2013. This post was originally posted Wednesday, September 18, 2013 by Pretrial Services Agencies for the District of Columbia. September is Bail Month. Bail Month features activities aimed at educating the public on the need for bail reform in America’s courts. Most jurisdictions across the nation continue to rely on money bail as the mechanism for release and detention, albeit almost 50 years since the Bail Reform Act of 1966 introduced the concept of least restrictive non-financial pretrial release and over 40 years since the Court Reform and Criminal Procedures Act of 1971 set forth legal statutory-based pretrial detention of truly dangerous defendants. Money bail contributes to unnecessary detention of many low-risk pretrial defendants, inappropriate release of high-risk defendants who have financial means, unwarranted financial burdens on low-income communities, and the gamble of placing public safety in the hands of a bail bonding industry that always will put profit before the public good. While there is much work still needed throughout the country, there is also much progress being made toward pretrial reform. Pretrial Justice Institute Executive Director Tim Murray notes, “Bail Month is undoubtedly a time to renew our commitment to pretrial reform, it is also time to celebrate. There is wonderful work being done by an ever-growing coalition of professionals who refuse to accept a status quo that is anything less than the best we can do for our communities.” For many criminal justice professionals and advocates looking to reform their bail systems, the District of Columbia continues to be the model of fair and effective pretrial decision-making and programming. Across the country, too many jurisdictions still depend on money bail to determine which defendants can be released pretrial. Forcing defendants to face financial loss if they flee, proponents insist, is essential to ensure that they will return to court. Those who cannot afford bail remain in jail, a reality that disproportionally impacts low-income communities. This practice has significantly increased our overreliance on incarceration, contributing to an exponential growth in our prison population over the past three decades. More than 2 million Americans are behind bars, 20 percent of those pretrial, and more than 65 million adults – a quarter of the nation’s adult population – have criminal records. In 1966, the United States Bail Reform Act established the rationale of bail: to guarantee a defendant’s court appearance. The Act emphasized that when possible, the law favors release pending trial. The law established a presumption of release by the least restrictive conditions with an emphasis on non-monetary terms of bail. Two decades later, the Bail ReformAct of 1984 permitted judges to consider the danger a defendant posed to the community as a factor in making bail decisions. Five decades of research has consistently shown that pretrial detention increases post-conviction incarceration. These studies show that defendants detained in jail while awaiting trial plead guilty more often, are convicted more frequently, are sentenced to prison at a greater rate, and receive harsher sentences than those who are released awaiting trial or case disposition. This blog was originally posted on the Pretrial Justice Institute's Blog on September 9, 2013 as part of Pretrial Justice Institute and Justice Policy Institute Bail Month 2013. Law enforcement officers are familiar with the term "prevention" and understand that any time you can be proactive and direct energy towards problems, rather than simply reacting to them, you nearly always have positive outcomes. Prevention in the context of “recidivism” may be less familiar to us, though, and so we may be missing out on some of the most meaningful reform in the criminal justice system. At those times when a crime occurs, law enforcement, specifically the cops on the street, have perfected the process of walking a person to the front door of the justice system and pushing them inside-- and this is the point at which we have traditionally stood back, dusted off our hands, and declared it’s up to the “system” now to deal with this person. We are also often the biggest critics of the system as we stand on the front step as spectators of what occurs after the arrest. There is now a large body of research available to us that demands our action to improve the front end of the system. It turns out that interventions on reducing recidivism should start at the point of arrest, rather than starting at the point of trial or conviction, and the entire front end of the justice system, prior to trial or conviction, has remarkable ramifications for recidivism and our officer safety. This month, JPI, in partnership with the Pretrial Justice Institute (PJI), aims to educate the public on the need for bail reform for the second year in a row. Using money as a pre-trial release mechanism contributes to jails overcrowded with unconvicted people, burdens low-income communities and supports an ineffective for-profit industry. Despite a lack of evidence that financial release options improve pretrial outcomes, jurisdictions throughout the country continue to rely on money as a proxy for risk in the pretrial process. This approach weakens public safety and creates two criminal justice systems: one for those with money and one for those without. The for-profit bail bonding industry - a corporate insurance behemoth that profits off the inequitable bail system - has enjoyed more than 100 years of corruption and political influence, and continues to skew judicial decision-making and put profit before public safety. 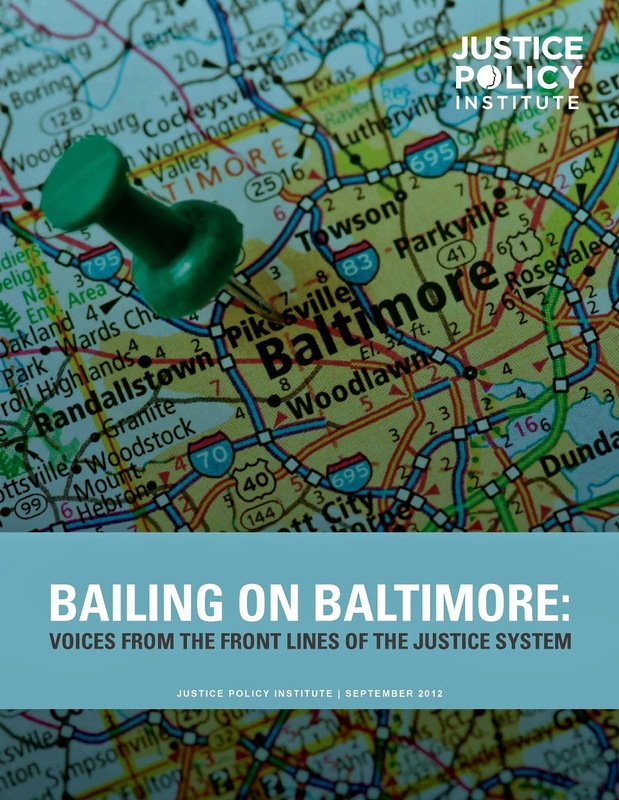 Throughout September, JPI will re-release our three reports on bail -- two national analyses that highlight concerns and solutions around money bail and for-profit bail bonding -- and one highlighting the real-life stories of residents in Baltimore. We will also unveil a factsheet highlighting updates and news in bail reform. PJI will, too, release a report on money bail and release on recognizance (non-financial and financial release). On Tuesday, September 10, PJI and JPI will talk about the latest updates in bail reform as part of the National Association of Criminal Defense Lawyers (NACDL) State Criminal Justice Network (SCJN) conference call series entitled National Advocacy Calls on Developing Legislation. To receive the call-in number, RSVP for the 12:00 p.m. EDT call at scjn@nacdl.org. Read the Just Policy Blog and the Pretrial Justice Institute Blog. Share our bail stamp. Tweet about our reports using hashtags #BailFail and #BailReform. Pass on our reports and post them on your various social media sites.